Hey! We’re havin’ a party! A Spring release party in Summer. Yes, you read that right. Spring just got away from us, so we decided that it was better late than never to hold a party in honor of our newest Pinot Noir. 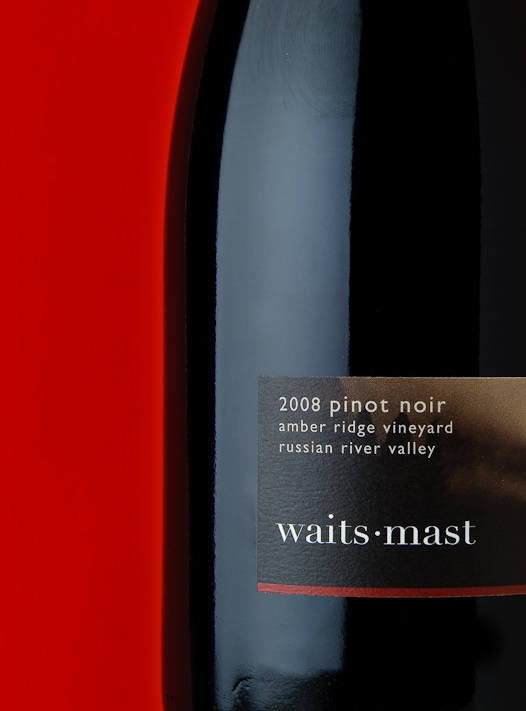 So, please join us Sunday, July 11 at our favorite neighborhood wine bar, Red & White in Glen Park, as we celebrate the official launch for the 2008 Waits-Mast Family Cellars Pinot Noir from Amber Ridge Vineyard in Russian River. To read more about the crush and pressing of this wine and see tasting notes and specs, see our blog post from the Spring. We’re excited to share this wine with you, as it marks our return to the very first vineyard from which we made wine in 2005 and we just got word that it scored a silver medal in the 2010 San Francisco International Wine Competition. We’ll be pouring our 2008 Amber Ridge Pinot Noir at promotional prices — $12 for a glass and $6 for a taste (half-glass) — during the event and you will also be able to purchase bottles to drink at Red & White or to take home with you. 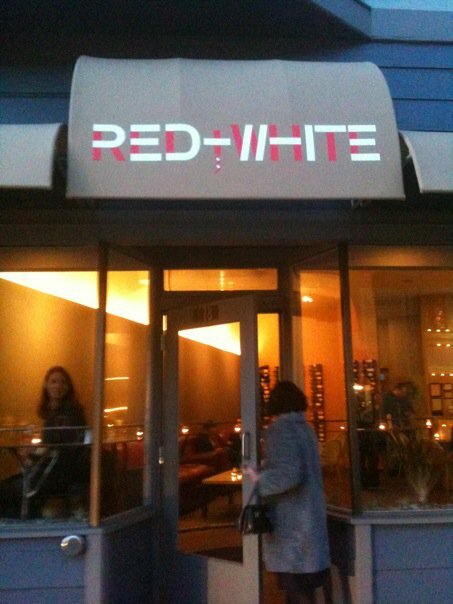 Red + White also has some great food to nosh on with our wine, as well as a unique selection of red, white and sparkling wines by the glass or bottle. View and RSVP to the invite in Facebook. Take a hike in Glen Canyon, located at the West end of Chenery Street. Browse away the afternoon and maybe catch some poetry or live music at Bird & Beckett, an amazing independent bookstore located on Chenery Street. Cross the street to continue browsing wonderful gifts at Perch and say hi to our friend Zoel. Getting hungry? Lots of options. One of the best Neopolitan pizza places in the Bay Area is Gialina. Or get a reservation at Chenery Park, a great upscale neighborhood restaurant with contemporary American food with a Cajun touch. We hope to see you there! And if you can’t make it to the party, swing by Red + White another time and you should be able to order the Amber Ridge Pinot Noir by the bottle to share with friends at the bar or take home to enjoy with dinner. We’ve got a busy Winter and Spring line up of wine tasting events coming up, so we wanted to share with you with the latest calendar listings. We’ll update this as we add more events for the Summer and Fall. Local Winemakers’ Tasting, Canyon Market. Waits-Mast will be pouring its gold-medal winning 2008 Hein Vineyard Pinot Noir along with other Glen Park winemakers. Cost is only $1 per pour. 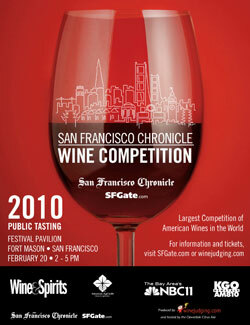 Public Tasting of the 2010 San Francisco Chronicle Wine Competition. Try our gold-medal winning wine, the 2008 Hein Vineyard Pinot Noir from Anderson Valley, along with other medal winners from the competition. Location: the Festival Pavilion in Fort Mason, San Francisco. When Irish Wines Are Smiling. An Irish Themed Wine & Food tasting featuring wines from Irish owned, named and ancestry wineries served alongside freshly prepared traditional Irish Dishes & Irish Cheeses. Waits-Mast has close and deep roots in Ireland, as Brian’s mother was born and raised in Co. Louth and Brian has visited Ireland many times. Cost is $25 per person in advance, $30 at the door. 13th Annual Anderson Valley Pinot Noir Festival. This is the event that really got us fired up about pinot noir. Taste Anderson Valley Pinot Noir from more than 40 wineries, geek out on Pinot Noir at the technical conference on Friday (includes lunch) and dine with the winemakers at Saturday evening dinners held in Anderson Valley and on the Mendocino coast. On Sunday, visit the wineries during their open houses for special tastings, seminars, food pairings, and more. We’d love to see you up in beautiful Anderson Valley – road trip! The results from the 2010 San Francisco Chronicle Wine Competition, the first and largest competition of American wines, came out today and the 2008 Waits-Mast Hein Vineyard Pinot Noir from Anderson Valley won a gold medal in the $40 – $49.99 pinot noir category. Brimming with over 4,900 entries overall, the competition was judged by some of the leading experts in the wine media and industry, include Wilfred Wong, cellarmaster for Beverages & More! ; Jon Bonne, wine writer for the San Francisco Chronicle; Dan Berger, syndicated journalist; and Paul Lukacs, wine writer and educator out of Baltimore, MD. Lukacs wrote the book American Vintage: The Rise of American Wine, one of the first books that got Brian deeper into the history of wine. We harvested the Hein grapes in early October of 2008 and co-fermented 115 clones and Pommard clones. Pommard can impart a more robust, fleshy characteristic, while the Dijon clone 115 tends to be lighter and brighter. The result is what we strive for with our Anderson Valley wines – bright red fruit balanced with earthy and woodsy undertones. The 2008 Hein also shows some nice warm spices, which we felt made it go well with our holidays meals this past Christmas. Good acidity and subtle tannins provide structure to make this an enjoyable, food-friendly wine for years to come. In addition to being available at our online store, our 2008 Hein Vineyard pinot noir is available locally in San Francisco at Canyon Market in Glen Park. We will also be pouring it at a Neighborhood Winemaker’s tasting at the San Francisco Wine Trading Company on Taraval Street in the Sunset on Friday, January 15 from 5:30 – 8:00pm. We currently have about 13 cases left of the 2008 Hein Vineyard Pinot Noir. And of course we’ll be pouring the gold-medal-winning wine, along with some of our other wines, at the Public Tasting of the 2010 San Francisco Chronicle Wine Competition, which will be held on February 20 from 2:00 – 5:00pm at the Festival Pavilion in Fort Mason. You can find out more information about the tasting and buy tickets here. 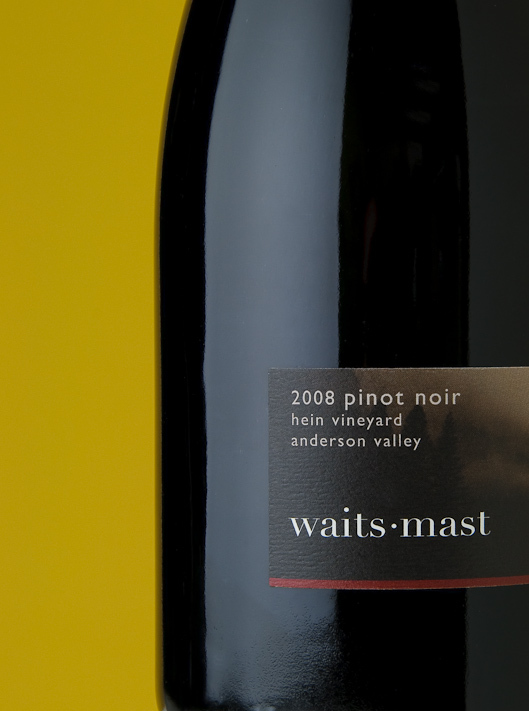 In honor of our trip out to Chicago to pour our wines at Pinot Days Chicago, we are launching our fall release wine, the 2008 Waits-Mast Pinot Noir from Hein Vineyard in Anderson Valley. 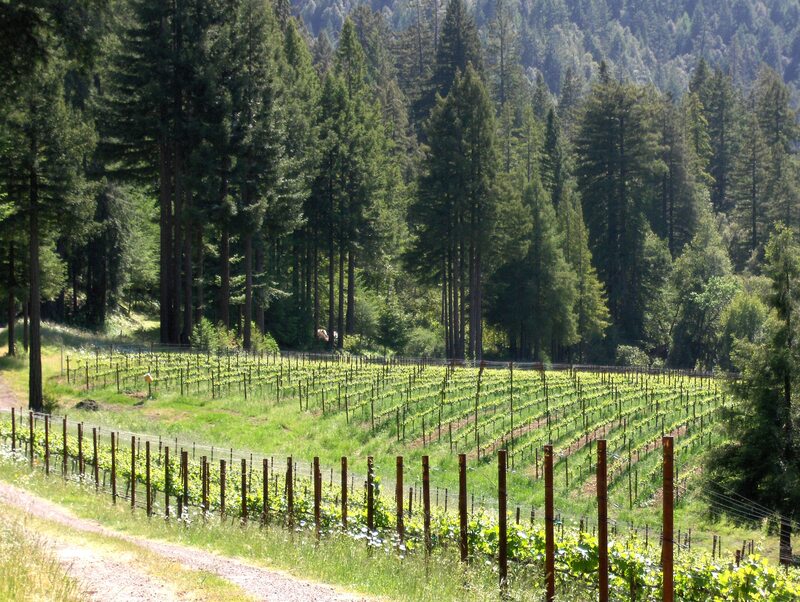 The Hein Family Vineyard is located in the “deep end” of this valley in Mendocino County, about 3 hours North of San Francisco. In the deep end, the cooling influence of the fog extends flavor development and results in a balance of fruit and earth. A co-ferment of Dijon 115 and Pommard clones, this Pinot exhibits some similar characteristics of our 2007 Wentzel Vineyard from Anderson Valley (which has recently sold out). The aroma is earthy, mushroom-y and has a smoky/woodsy note. On the palate, you’ll find a tart cherry and cranberry that finishes smooth and juicy. An acidic core keeps it bright and structured. All in all, it’s what we crave from Anderson Valley Pinot Noir. Good acidity and subtle tannins provide structure and backbone to make this an enjoyable, food-friendly wine. Availability: the 2008 Hein Vineyard Pinot Noir will be available on our webstore starting on Friday, November 13. For SF locals, we’ll be getting the Hein on the shelves of our favorite local market, Canyon Market, next week. It’s an exciting month for us, as Waits-Mast Pinot Noir has made its first appearance on a retail shelf. Especially thrilling is the fact that our debut is in our favorite neighborhood grocery store in San Francisco: Canyon Market. And, we’ll be pouring our wines there this Thursday, March 26th from 4:30 to 7:30 pm during a Local Winemakers Tasting along with fellow San Francisco winemaker Jim Bowin of Urban Edge Wines. The owners of Canyon Market, Richard and Janet Tarlov, couldn’t be nicer and are strongly connected with the tight-knit community of Glen Park. If you’ve never been to this section of San Francisco, it’s worth the trip. A quick BART ride from the bars and trendy eateries of the Mission, Glen Park is a hilly, village-like neighborhood with great food (we’re partial to the pizza at Gialina, yellow curry at Osha Thai Cafe, the shrimp beignets at Chenery Park and the delicious pastries at Destination Baking Company), a beautiful newish library, the hip gift shop Perch, and our favorite store for new and used books (and live music performances), Bird and Beckett. Canyon Market is a great store and we appreciate their emphasis on local, organic and natural foods and small, but growing shelf space for local winemakers as well. They also host regular wine tasting events–another great reason to visit the store and Glen Park in general. Word on the street is that Canyon Market is planning on devoting a shelf in their wine section to locally-produced (as in very local, like San Francisco) wines. Currently, though, our bottles of 2007 Wentzel Vineyard Pinot Noir are keeping good company on the shelves with some nice Burgundies, including a Gevrey-Chambertin. So support your local businesses by visiting Canyon Market, bringing home one of our wines and keeping it good company until the last drop. Come by and see us on Thursday!